Balmaclellan village off A712 & B7075. 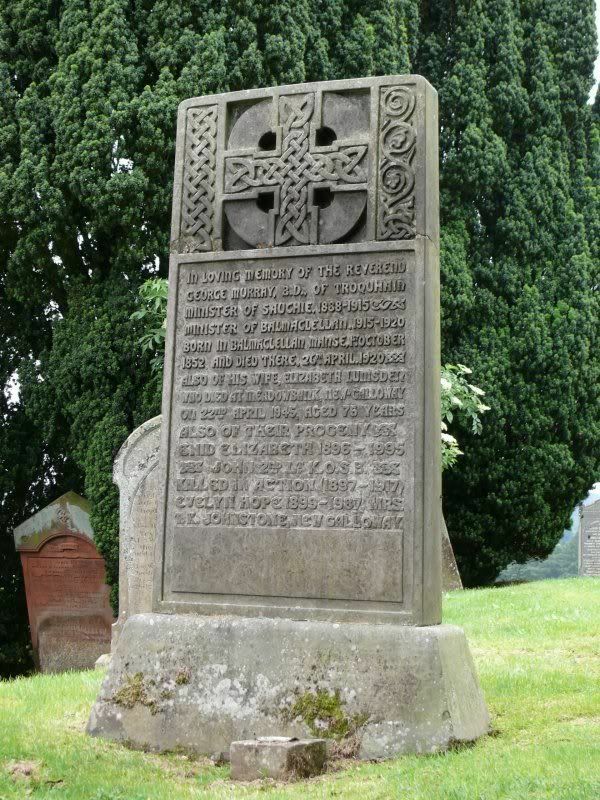 Grave/Memorial Reference:	North-East of Church. 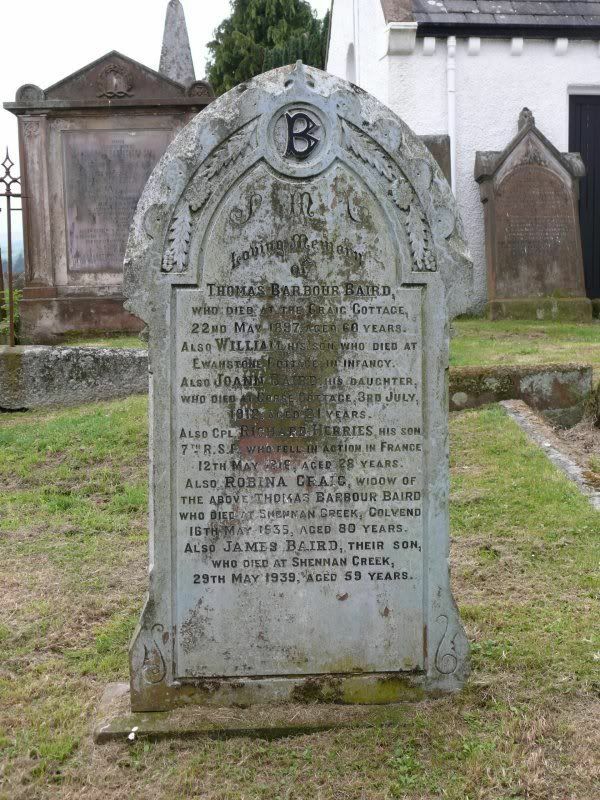 Additional information:	Son of Mrs. Robina Baird, of Sherman Creek, Dalbeattie, Kirkcudbrightshire, and the late Thomas Barbour Baird. Unit Text:	5th Bn. attd. 1st Bn. Additional information:	Only son of the late Rev. 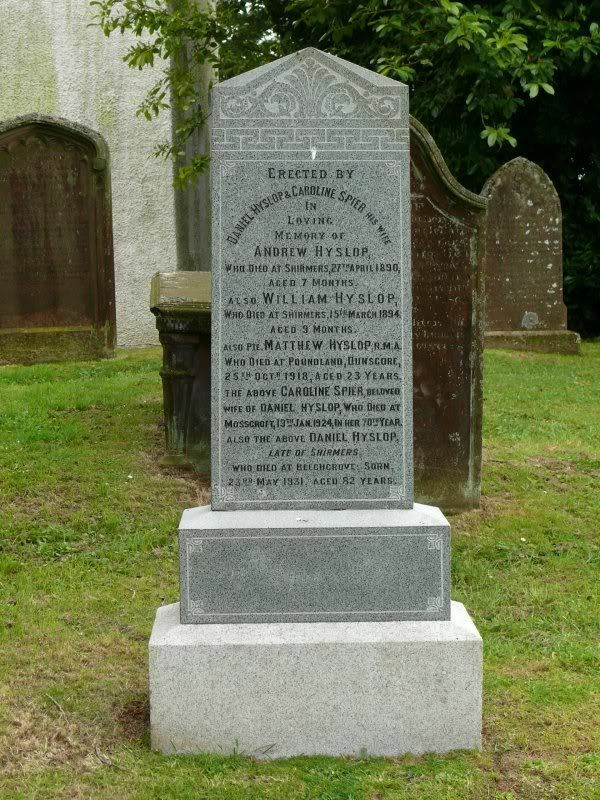 George Murray, B.D., of Troquhain, and of Elizabeth Murray, of Meadowbank, New Galloway, Kirkcudbrightshire. 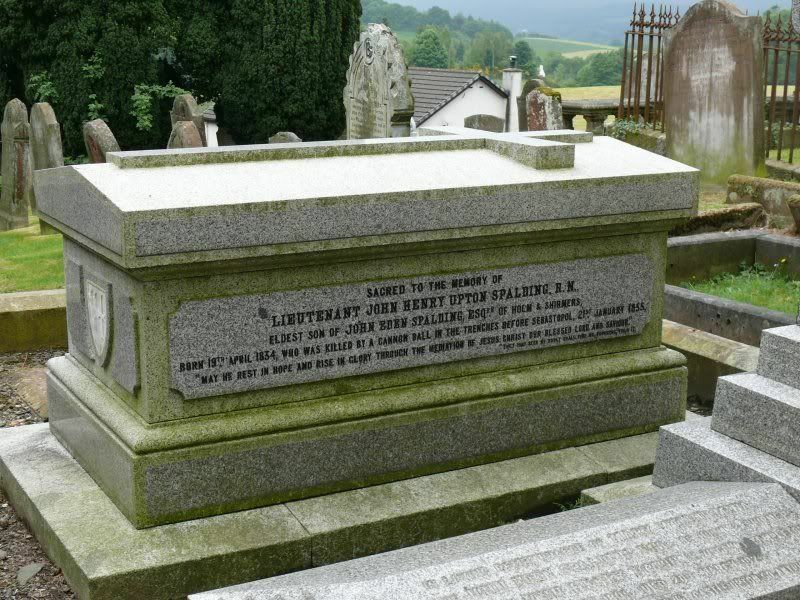 There are two individual memorials to this man; a stained glass window in Balmaclellan church and a large granite memorial overlooking Loch Ken. I missed this one first time around. 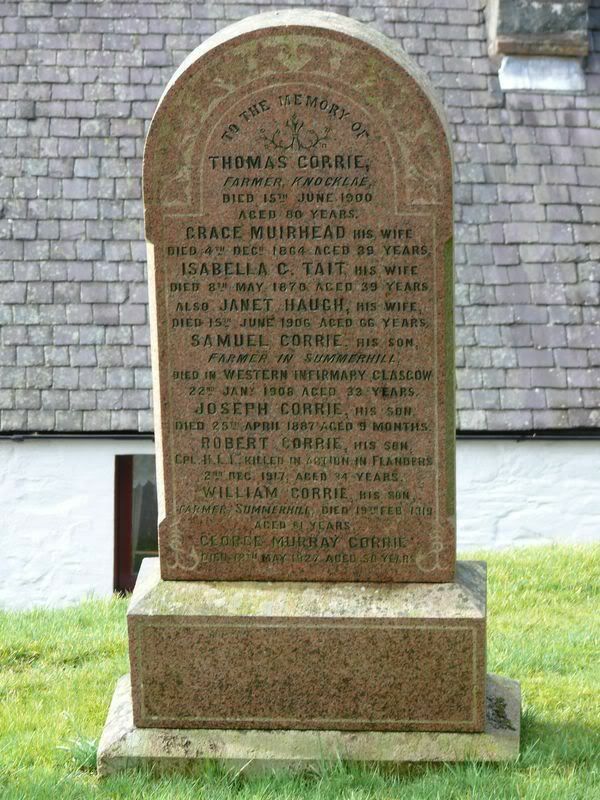 Additional information: Son of Thomas and Janet Corrie, late of Knocklae, Balmaclellan, Kirkcudbrightshire; husband of Barbara Corrie, of Barmbarrock, Colvend, Dalbeattie.